Are you DRIVEN, hungry for success (both personally and professionally) and able to LEARN FAST? We’re looking for ONE new entry level marketer to work with our team. 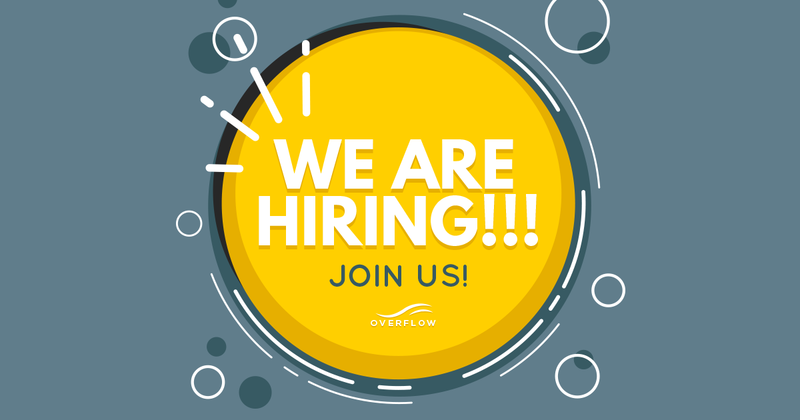 If you’re the right fit for the Overflow team, you take pride in your work, work diligently to hone your craft and take personal responsibility for results. If you don’t see yourself as a self-starter this probably isn’t the right position for you. You’ll have plenty of guidance when you need it, but most of the time we’ll give you basic guidelines and have you try things first on your own. This is NOT a ‘file papers and go grab lunch’ type of position. You must be hungry to learn, grow and get some real hands-on EXPERIENCE in digital marketing! You must be EASY GOING. The work we do is life changing for our clients, but personally we’re pretty chill. Our team works remotely, so we might meet in an office, at the library or via videochat. If that doesn’t work for you, don’t apply. You must be a GREAT WRITER – Two of the skills you’ll get serious experience with are Ad Copywriting and SEO Copywriting for the web. If you don’t feel like research & writing are some of your better qualities, don’t apply. You must be COACHABLE. We work in the online marketing space and the stuff you are about to get exposed to will BLOW YOUR MIND! Seriously, if you aren’t excited to dig in on your own and learn more about the Digital Marketing space – don’t apply. This is a PART-TIME hourly paid position. We expect you to commit at least 10 hours per week. We’ll meet once or twice per week for an hour or two in Ann Arbor, but otherwise you’ll complete most tasks on your own. You can always reach out via email or phone with questions. If you’re not cool with that, don’t apply. We’re doing next level stuff here at Overflow. You will be provided with full support from the team to accomplish whatever task we’ve set in front of you… BUT, we’re not going to micro-manage your every move. To get the most from this position, it’s important that you are the type of person that looks for solutions rather than excuses. If you’re going to work with us, you need ENERGY, ENTHUSIASM, and MASSIVE DEDICATION! Our culture is built upon a balance between being personally relaxed while still being 150% dedicated to hit home runs for our clients. We don’t care what you wear or post on your own IG account, as long as your realize it’s our job to pull people out of mediocrity and introduce them to bigger, better, more wonderful visions for their life and business. If none of the stuff above disqualifies you and you’d like to be a part of helping small business owners achieve freedom to enjoy life, support their families and help others? Please… DO APPLY!! !